Carrying a boom box down the street on your shoulder? Old and busted. 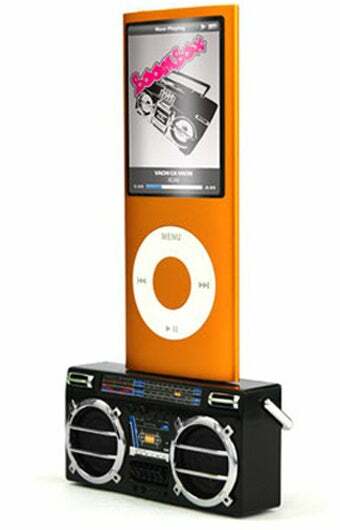 Docking your iPod on a teeny tiny boombox and carrying it around the house between your thumb and forefinger? New and... uh... tiny.